CARFAX One-Owner. Clean CARFAX. Corolla S Plus, ABS brakes, Alloy wheels, Electronic Stability Control, Heated door mirrors, Illuminated entry, Low tire pressure warning, Navigation System, Power moonroof, Remote keyless entry, Traction control. Barcelona Red Metallic 2014 Toyota Corolla S Plus FWD 6-Speed Manual 1.8L I4 DOHC Dual VVT-i Recent Arrival! 28/37 City/Highway MPG Awards: * 2014 KBB.com 10 Tech-Savviest Cars Under $20,000 * 2014 KBB.com 5-Year Cost to Own Awards * 2014 KBB.com Best Resale Value Awards Call us today! 618-208-2400. CARFAX One-Owner. Clean CARFAX. Certified. TOYOTA CERTIFIED***7 YR/100K WARRANTY***BUY WITH CONFIDENCE, Corolla LE, CVT. Barcelona Red Metallic 2016 Toyota Corolla LE FWD CVT 1.8L I4 DOHC Dual VVT-i Recent Arrival! 29/38 City/Highway MPG Toyota Certified Used Vehicles Details: * Warranty Deductible: $50 * Vehicle History * Limited Comprehensive Warranty: 12 Month/12,000 Mile (whichever comes first) from certified purchase date. Roadside Assistance for 1 Year * Transferable Warranty * 160 Point Inspection * Powertrain Limited Warranty: 84 Month/100,000 Mile (whichever comes first) from original in-service date * Roadside Assistance Awards: * 2016 KBB.com 5-Year Cost to Own Awards * 2016 KBB.com Best Buy Awards Finalist Call us today! 618-208-2400. CARFAX One-Owner. Clean CARFAX. TOYOTA CERTIFIED***7 YR/100K WARRANTY***BUY WITH CONFIDENCE, NO ACCIDENT HISTORY ON CARFAX, BLUETOOTH. Barcelona Red Metallic 2018 Toyota Corolla LE CERTIFIED FWD CVT 1.8L I4 DOHC Dual VVT-i Recent Arrival! 28/36 City/Highway MPG Call us today! 618-208-2400. CARFAX One-Owner. Clean CARFAX. Certified. TOYOTA CERTIFIED***7 YR/100K WARRANTY***BUY WITH CONFIDENCE, REAR VIEW CAMERA, NO ACCIDENT HISTORY ON CARFAX, BLUETOOTH, Body Protection Package #1, Body Side Moldings, Door Sill Protectors, Rear Bumper Protector. Barcelona Red Metallic 2016 Toyota Corolla LE FWD CVT 1.8L I4 DOHC Dual VVT-i Recent Arrival! 29/38 City/Highway MPG Toyota Certified Used Vehicles Details: * Limited Comprehensive Warranty: 12 Month/12,000 Mile (whichever comes first) from certified purchase date. Roadside Assistance for 1 Year * Vehicle History * 160 Point Inspection * Powertrain Limited Warranty: 84 Month/100,000 Mile (whichever comes first) from original in-service date * Warranty Deductible: $50 * Transferable Warranty * Roadside Assistance Awards: * 2016 KBB.com 5-Year Cost to Own Awards * 2016 KBB.com Best Buy Awards Finalist Call us today! 618-208-2400. Clean CARFAX. REAR VIEW CAMERA, LEATHER, NO ACCIDENT HISTORY ON CARFAX, BLUETOOTH, Camry SE, Ash/Black w/Sport Fabric Softex-Trimmed Front Seat Trim. Super White 2016 Toyota Camry SE FWD 6-Speed Automatic 2.5L I4 SMPI DOHC Recent Arrival! 25/35 City/Highway MPG Awards: * 2016 KBB.com 10 Best UberX Candidates * 2016 KBB.com Best Buy Awards Finalist * 2016 KBB.com 10 Best Sedans Under $25,000 * 2016 KBB.com 10 Most Comfortable Cars Under $30,000 * 2016 KBB.com 5-Year Cost to Own Awards * 2016 KBB.com 10 Most Awarded Cars Call us today! 618-208-2400. CARFAX One-Owner. Clean CARFAX. REAR VIEW CAMERA, NO ACCIDENT HISTORY ON CARFAX, BLUETOOTH. Slate Metallic 2016 Toyota Corolla S FWD CVT 1.8L 4-Cylinder DOHC 16V Recent Arrival! Odometer is 9520 miles below market average! 28/37 City/Highway MPG Awards: * 2016 KBB.com Best Buy Awards Finalist * 2016 KBB.com 5-Year Cost to Own Awards Call us today! 618-208-2400. CARFAX One-Owner. SUNROOF, REAR VIEW CAMERA, LEATHER, BLUETOOTH. Red 2016 Toyota Corolla S Premium CERTIFIED FWD CVT 1.8L I4 DOHC Dual VVT-i Recent Arrival! 29/37 City/Highway MPG Awards: * 2016 KBB.com 5-Year Cost to Own Awards * 2016 KBB.com Best Buy Awards Finalist Call us today! 618-208-2400. CARFAX One-Owner. Clean CARFAX. Certified. 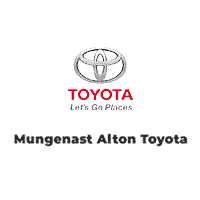 TOYOTA CERTIFIED***7 YR/100K WARRANTY***BUY WITH CONFIDENCE, LEATHER, Camry SE, Black Leather. Predawn Gray Mica 2017 Toyota Camry SE FWD 6-Speed Automatic 2.5L I4 SMPI DOHC Recent Arrival! 24/33 City/Highway MPG Toyota Certified Used Vehicles Details: * Limited Comprehensive Warranty: 12 Month/12,000 Mile (whichever comes first) from certified purchase date. Roadside Assistance for 1 Year * Powertrain Limited Warranty: 84 Month/100,000 Mile (whichever comes first) from original in-service date * 160 Point Inspection * Roadside Assistance * Warranty Deductible: $50 * Transferable Warranty * Vehicle History Awards: * 2017 KBB.com 10 Best Sedans Under $25,000 * 2017 KBB.com 10 Most Comfortable Cars Under $30,000 * 2017 KBB.com 10 Most Awarded Brands * 2017 KBB.com Best Resale Value Awards Call us today! 618-208-2400. CARFAX One-Owner. Clean CARFAX. Certified. TOYOTA CERTIFIED***7 YR/100K WARRANTY***BUY WITH CONFIDENCE, NO ACCIDENT HISTORY ON CARFAX, BLUETOOTH, Black w/Sport Fabric Softex-Trimmed Front Seat Trim. Ruby Flare Pearl 2016 Toyota Camry LE CERTIFIED FWD 6-Speed Automatic 2.5L I4 SMPI DOHC Recent Arrival! 25/35 City/Highway MPG Toyota Certified Used Vehicles Details: * Transferable Warranty * Limited Comprehensive Warranty: 12 Month/12,000 Mile (whichever comes first) from certified purchase date. Roadside Assistance for 1 Year * Vehicle History * 160 Point Inspection * Warranty Deductible: $50 * Roadside Assistance * Powertrain Limited Warranty: 84 Month/100,000 Mile (whichever comes first) from original in-service date Awards: * 2016 KBB.com 10 Best Sedans Under $25,000 * 2016 KBB.com Best Buy Awards Finalist * 2016 KBB.com 5-Year Cost to Own Awards * 2016 KBB.com 10 Most Comfortable Cars Under $30,000 * 2016 KBB.com 10 Best UberX Candidates * 2016 KBB.com 10 Most Awarded Cars Call us today! 618-208-2400.